Garincha Hilaire was twelve years old when he knew that he wanted to become a dancer. He first studied stage and competition dancing. He then went on to study social dancing at the Arthur Murray International Dance Studio in New York where he became a certified dance instructor. He opened up his first dance studio “Take the Lead” at 47th & Pine in Philadelphia and worked with at risk youths teaching them to dance. He also taught Ballroom and Latin dancing at the Univ. of PA, Drexel Univ. and Swarthmore College dance clubs. Garincha Hilaire is passionate about the art of dance. He wants to show people the value, joy and accessibility of dancing. He believes that everyone can benefit from moving their bodies. Persons with Parkinson’s disease can reduce their shaking; children can learn life and decorum lessons; teens can gain confidence in social situations and develop healthy bodies; adults can reduce stress, and dancing can help seniors with memory retention and social interactions. 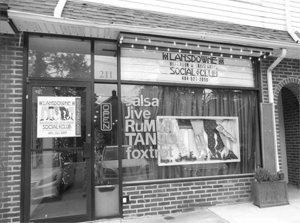 Hilaire chose to open up the Lansdowne Ballroom and Latin Dance Social Club in Lansdowne to be near his parents who are eleven year residents of the Borough and because of the Lansdowne Economic Development Corporation’s promotions regarding Lansdowne as a favorable place for businesses of all types. 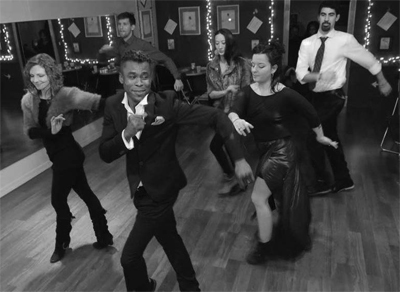 Garincha Hilaire has been noted for his unique dancing methodology where he teaches dance techniques by relating them to natural body movements used in everyday life situations. In fact, using just these techniques, this writer, who has two left feet, was able to learn the Fox Trot including swirls in just minutes. In addition to private and group dance instructions, you can rent out the ballroom for business and social events. Also, you can hire Hilaire and his staff to give dance instructions to your guests at fundraisers, birthday, retirement, and graduation parties.